KuCoin is extremely proud to announce yet another great project coming to our trading platform. 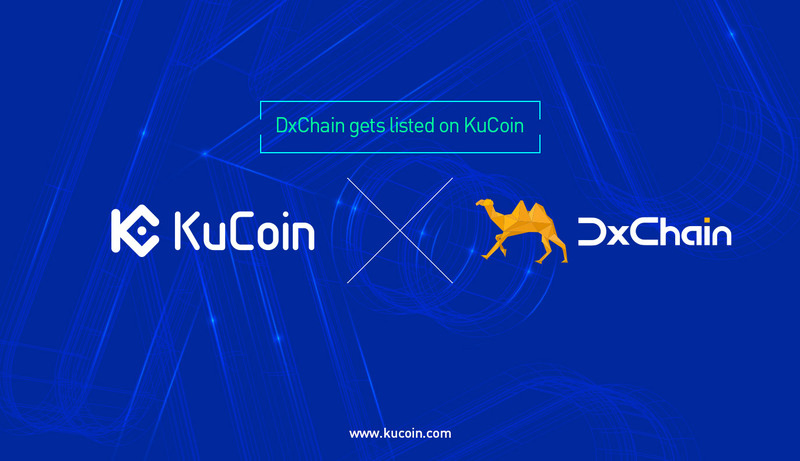 DxChain (DX) is now available on KuCoin. Supported trading pairs include DX/BTC and DX/ETH. DxChain Network provides two fundamental capabilities: computation and storage. Currently, only big companies have the capability to run big data tasks, because not only can these companies afford expensive hardware but these companies also own most of the existing consumer data. For example, Google possesses the navigation data of whoever that uses Google Maps. If Google Maps users could find a way to sell their navigation data, then they will do so for economic reasons. Users will not worry about their privacy since the data has already been seen and used by Google. If third parties can sell navigation data, combined with other commercial data, then advertising campaigns will be more accurate and customised. Most importantly, big companies like Google and Facebook will not monopolise the usage of these data. This is the dream of decentralisation. The DxChain Network is designed to serve as a data trading platform for users who want to sell their data. Big data and machine learning computation is intended to make the use of data easier and more flexible.